The recent news about the start of a three-year jail sentence for the former property manager of a Sarasota, Fla.-area condominium who was convicted of stealing more than $200,000 from the association she managed sent a resounding message about the severe repercussions that property managers and association directors can face for theft and fraud. 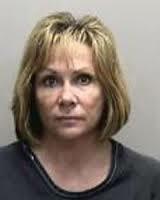 According to several news reports, Judy Paul, 51 (pictured below), was sentenced to three years in prison followed by 10 years of probation, and was ordered to pay $200,000 in restitution to the Sand Cay Homeowners Association, following her conviction in July, 2013, on felony counts including grand theft and scheming to defraud more than $50,000. It was further reported that Paul was scheduled to surrender at a court hearing on July 1 but failed to appear. The reports state that when she subsequently appeared in court at a later date, she pleaded with the judge for mercy, claiming that she suffered from several medical conditions including uncontrollable bowels, post-traumatic stress disorder as a result of the conviction, and that she attempted to end her life two days before she was originally scheduled to surrender. Paul’s case was the first to be brought to trial by the White Collar Crime Division of the State Attorney’s Office formed in 2013. Her fraud was discovered when a routine 2009 audit uncovered more than 50 checks that she had issued and cashed or deposited into her own bank accounts. Evidence presented at the trial revealed that she also purchased a Harley-Davidson motorcycle with association funds, and the unit owners were forced to cover the association’s shortfalls through assessments. This case underscores the importance for association directors and property managers to implement procedures and policies aimed at avoiding the theft of association funds by those who are typically authorized to have access to them. These efforts may include requiring that at least two board members sign all checks and review documentation supporting the invoice or obligation to be paid, the requirement for background checks and screenings for managers and employees, the thorough review of all bank statements and financial records presented to directors and managers, the establishment of low limits on discretionary expense approvals by the property manager without board authorization, and a detailed review and understanding by directors of the association’s yearly financial audits performed by independent professionals. Directors should also coordinate with the association’s insurance agent to confirm that the association is adequately insured to best protect against such instances of fraud, theft and other types of employment dishonesty. The severe prison sentence and financial restitution imposed in this case against the convicted former property manager should send a compelling message to unscrupulous managers and association directors who contemplate taking part in schemes to defraud and steal from their association.